If you are looking for some bridal shower theme inspiration, check out these beautiful & easy to personalize, "lace" inspired bridal shower announcements. Check out the latest selection of most popular "Will You Be My Bridesmaid?" Cards for 2019. No minimum order required and save money by buying in bulk! If you are looking for some elegant and feminine bridal shower invitations, then check out the latest & most popular floral bridal shower announcements collection. 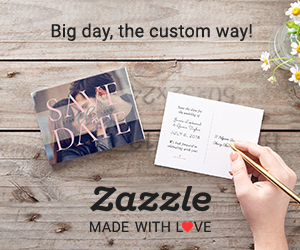 With each personalised bridal shower card you'll receive a standard white envelope.